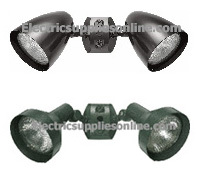 RAB Lighting - Landscape Lighting - Classic landscape lawn lights packed with rugged features. Economical RAB Lighting PL floods, which are built to last. 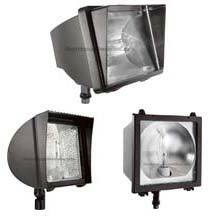 RAB Lighting HID Floodlights and Glare Shields for wall, ceiling and ground mounting. 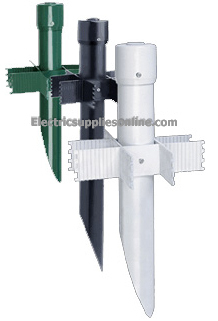 Sturdy PVC wiring posts. RAB Lighting - Indoor & Outdoor Motion Sensors - RAB Lighting Super Stealth Sensor with Total 360 degree + 180 degree Coverage, Surge Protection, Scanning LEDs, Evening Timer and Color Matched Lens. Proven reliability with the features professionals trust. RAB Lighting GT500 & GT500R with 500 watt capacity. RAB's affordable quality sensor. RAB Lighting LS300 and LU300 (with floods) have 300 watt capacity. 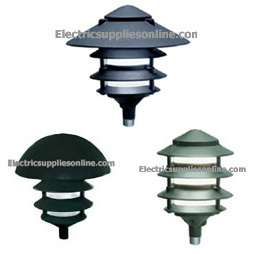 Vandal Resistant Tuff Dome Sensor can be used remotely or with floodlights. 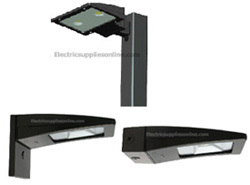 RAB Lighting - HID Flood Lights - RAB Lighting Flex Flood, Specification grade HID floodlight with cutting edge design, architectural quality, superior features and mounting options. RAB's mid-size specification grade HID floodlight up to 150 watt HPS and 175 watt MH. Easy to install and affordable. 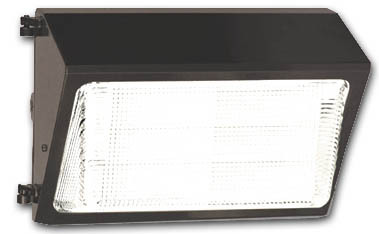 Mega-performance, quality and value from state-of-the-art 400 and 250 watt HID floods. RAB Lighting - Wallpacks - Environmentally Friendly, these glare reducing Visors & Blinders are easy to add to your existing RAB Lighting Wallpacks. 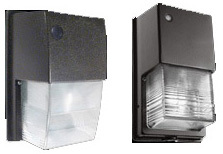 Compact 100 watt HID and 42 watt fluorescent wallpack for security and perimeter lighting. Midsize wallpack for up to 150 watt HPS, 175 watt Metal Halide and 84 watt Fluorescent. 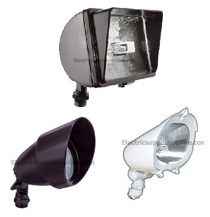 RAB Lighting Energy efficient 250 and 400 watt HID wallpacks packed with quality features. RAB Lighting - Quartz Flood Lights - Specification grade features and innovative design make the RAB Lighting Quartz Curve best in the industry. 75 watt Cool Quartz bullets -- a new design with many features to increase lamp life. Economical fixtures with brilliant light output.t output. RAB Lighting - Yardblaster - Mercury Vapor or High Pressure Sodium, Photocell Controlled Dusk-to-Dawn RAB Lighting Yard Light. 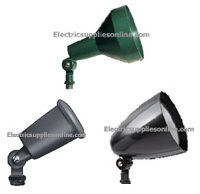 RAB Lighting - Vandalproof - HPS, MH & CFL RAB Lighting vandalproof lighting for high abuse areas. 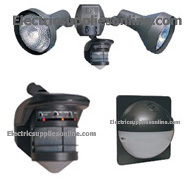 RAB Lighting - Vaporproof - RAB Lighting Vaporproof HID & CFL fixtures - utilitarian and energy efficient. Durable, versatile, and economical ceiling fixtures for non-hazardous locations. RAB Lighting VX, VLX, VP and VC models. Customize and protect vaporproof lighting. Die Cast GD100DG & wire GD100CL guards. RAB Lighting - Worklights - Get light on the job with the contractors' choice -- the RAB Lighting QF500P, QF150CL and QF150P. Quartz tower QF500T 500 watt and QF2X500T 1000 watt worklights for electrical pros with portable stand, deluxe features, and 12' power cord.